We got our first glimpse of the 2019 Volvo V60 back in February, and, this week, I finally got a chance to drive it. And while I’ll have more to say about that shortly, in the meantime: What do you want to know? The new V60 has 390 horsepower in its highest-performing version, the T8 power hybrid, though the others aren’t slouches either, offering 310 horsepower in the all-wheel drive, all-gas T6, and 340 horsepower in the T6 hybrid. 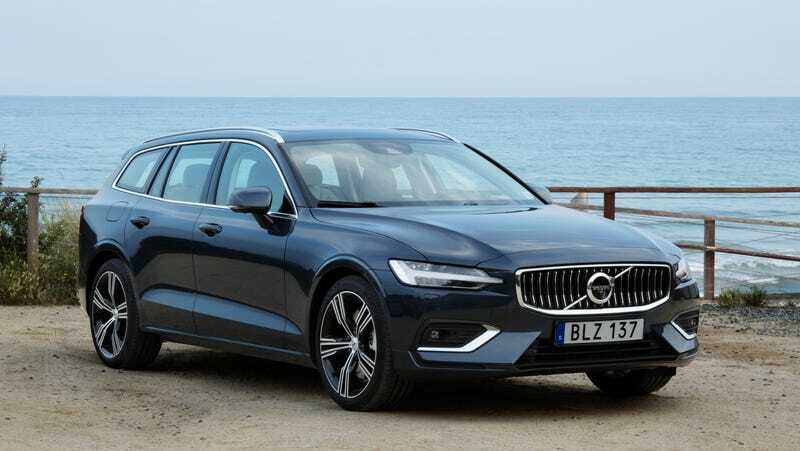 This will be the second-generation of the V60, a wagon that debuted for the 2011 model year and has been a reliable success for the company, known, of course, for inventing the three-point seatbelt and prioritizing safety above pretty much everything else. In that respect, the V60 doesn’t disappoint, with an automatic emergency braking feature that Volvo says is the only system on the market capable of reliably identifying not just cars, but also humans, big animals, and bikes.